Between a laptop and a desktop computer, I prefer using the former because of its mobility. I can take it with me anywhere I go, in and out of the house. Even when I am just at home, I seldom use the desktop because with my laptop, I can go online and do computer work while I am doing my household chores upstairs or downstairs. I can even bring my laptop with me to bed. My first notebook was a Sony Vaio which was actually handed down to me by my husband. Sony Vaio, which is known for its superior craftmanship, durability and functionality, really lives up to its name. In fact, we've now handed it over to my son. 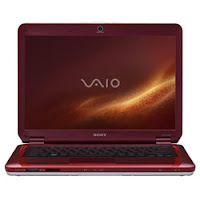 Have you checked lately the different selection of Sony Vaio notebooks ? They come in different sizes, weight, colors, and features- all carrying Sony's world-renowned reputation for exceptional quality and bold innovation.